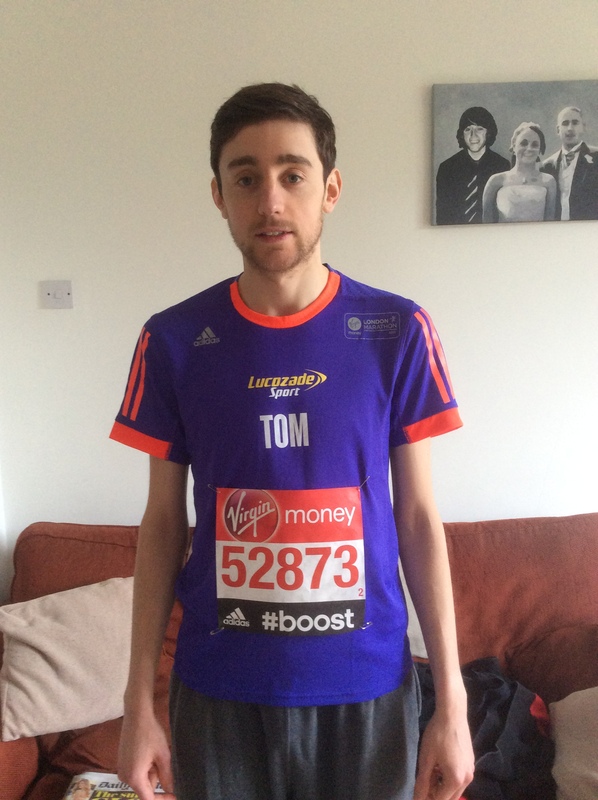 Twelve weeks ago Sport-locker.net‘s London Marathon journey hit a major snag. After building a solid endurance base over the long cold winter and eyeing an ambitious three hours finish time, all plans and ambitions were plunged into the murky waters of doubt when struck down by achilles tendonitis. Simply walking became a painful exercise so the swimming pool became our impact-free place of refuge in the desperate hope that fitness levels could be maintained. Four weeks on and the injury had eased but was still a constant irritation. With road running still not a viable option, the gym’s cross trainer became our new best friend. Then came a eureka moment when overnight the irritation and pain had gone. The marathon dream was still alive. Less ambitious but alive. Mile by mile the training sessions gradually increased until with three weeks to go we’d clocked a steady 16 miler. 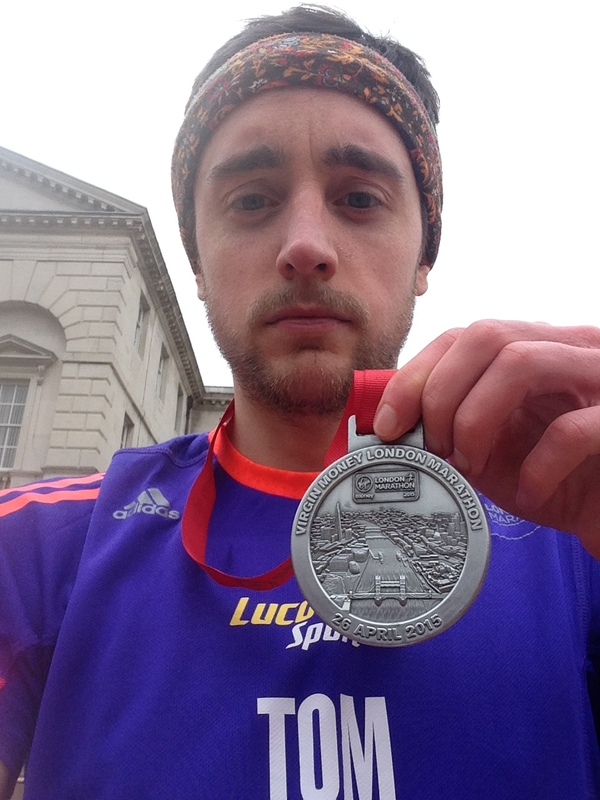 Not ideal but crucially, enough to give us the confidence that 26.2 was achievable. A gentle taper and a chaotic expo later and we found ourselves on the start line penned in like cattle praying to the running Gods for legs and lungs of steel. Perhaps it was too much to ask given that they had already come up trumps with regard to the weather. A cool, dry and still morning offered perfect conditions for jogging a mile or 26.2. Much of the pre-race advice offered went along the lines of ‘don’t get swept up in the occasion and go off to fast – you’ll only suffer later and hit the dreaded wall’. Being on the cautious side of sensible this was never likely to be an issue and the early miles ticked by steadily. The mighty Cutty Sark was the first major landmark to come and go and from then on it was all about achieving a series of minor milestones that would ultimately end with glory on the Mall. Reaching ten miles and double figures was next, then the halfway mark which served up the goosebump-inducing crossing of Tower Bridge and the tunnel of supportive noise providing the kind of physical and mental boost that no gelatinous piece of children’s confectionary can match. Next we smashed through our training peak distance of 16 miles and then our lifetime best of 19 miles run on Swiss alpine peaks in the summer of 2013. The surroundings on the two runs could not have been more contrasting but the occasion was equally epic and the goal remained the same. Enjoy the moment and cross that finish line. The sight of the elite male runners effortlessly galloping by in the opposite direction was simply awe inspiring. They were flying and in the blink of an eye they were gone. With the knowledge that the sight and sound of encouraging family and friends would greet me at mile 23 this became a particularly significant personal milestone. If I could make it there in one piece, nothing was going to stop me getting to the end. A steady pace and a constant reminder of ‘shut up legs’ had served me so well at this point that I was able to raise a genuine smile and a triumphant fist in the direction of my own personal fan club. From then on it was all downhill (at least it was mentally). The superb crowds continued to act like a vacuum cleaner sucking each and every runner to the line which proved particularly helpful along the embankment which, while iconic, seemed never ending. Convinced that one more squeeze of a Lucozade energy gel washed down with a slurp of water was all that was needed to turn off the pain coming from a heavily battered toe and a pair of creaking knees, down it went. Round past the Houses of Parliament and Big Ben and significantly the distance markers stopped counting up and started to count down. 600m to go, 400m to go. The words of a running guru were drumming in our head telling us to keep the arms pumping. A wise man telling us to keep the chin up with eyes on the prize. Stay strong…. And after three hours 17 minutes and 30 seconds of glorious toil it was done. There to greet us was the bizarre sensation of legs briefly seeming reluctant to stop as if resigned to the fact that ‘steady jog’ was the new default setting. The hallowed medal was hung round the neck and the painful yet sweet realisation of an ambition, that was for so long filed in a drawer labelled ‘unlikely due to injury’, sunk in. We’ve certainly been bitten by the marathon bug and will be back for more…once we’ve regained the ability to successfully negotiate a flight of stairs! 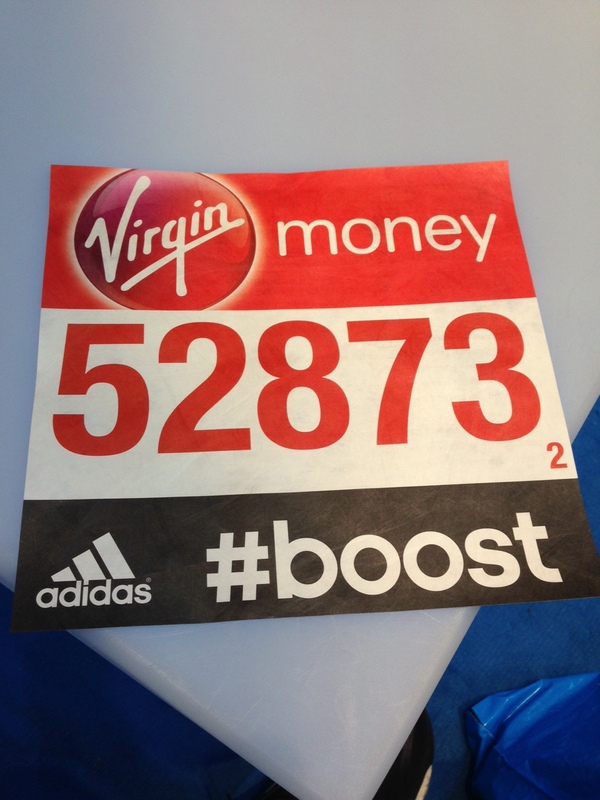 With thanks to Lucozade Sport for providing Sport-locker.net’s Virgin Money London Marathon entry place. 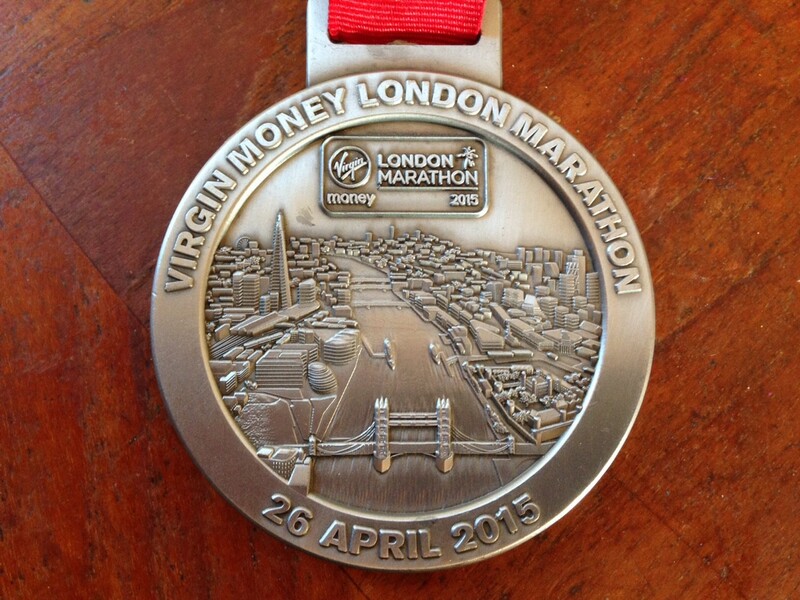 Tell us your Virgin Money London Marathon story. Did you run or were you one of the thousands cheering? Let us know in the comments section below or on our Twitter and Facebook pages.